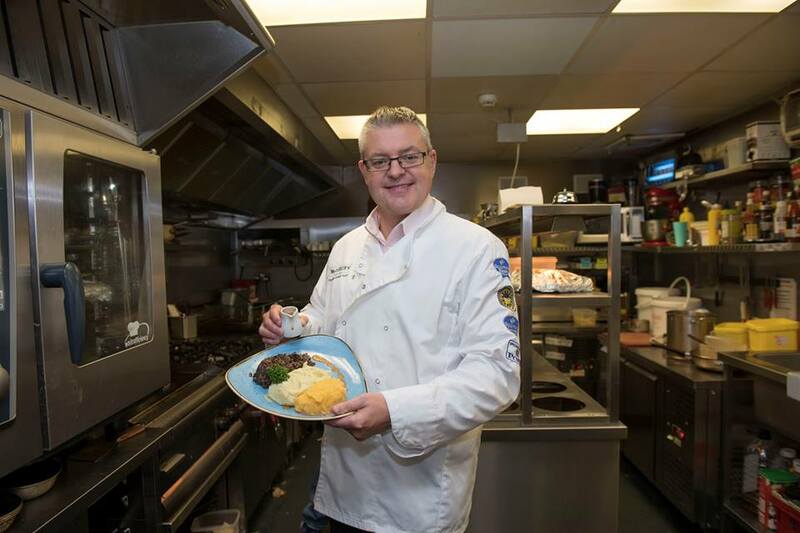 Scottish Food and Drink Fortnight 2018 has been a mix of sweet and savoury for Greenock and Inverclyde’s MSP Stuart McMillan as he celebrated Inverclyde’s tasty produce. While speaking during the Scottish Parliament debate on Food and Drink Fortnight, Stuart took his fellow MSPs on a journey across Inverclyde, from the chocolate factory in Port Glasgow, to the butchers in Wemyss Bay. 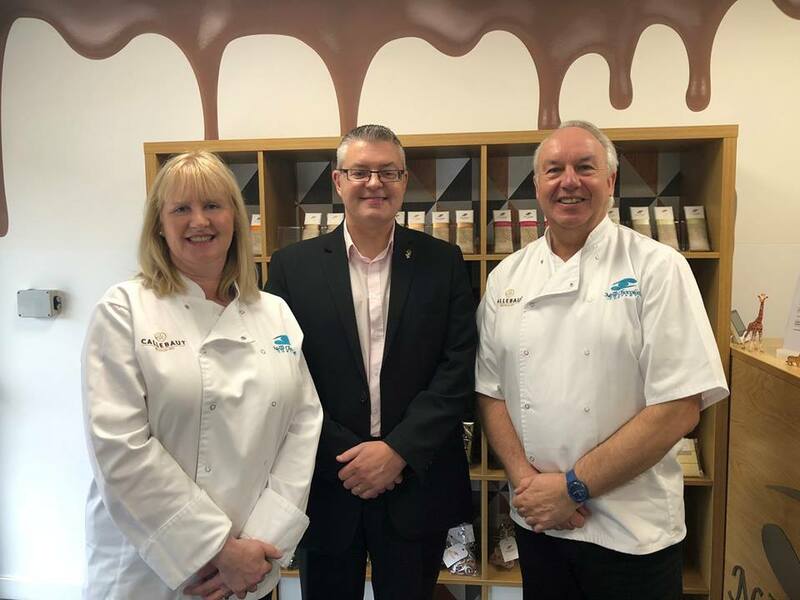 Earlier this week, Stuart visited both The New Chocolate Company and Mearns T. McCaskies to sample some quality produce right here in Inverclyde. “It was a pleasure to visit The New Chocolate Factory and McCaskie’s during Scottish Food and Drink Fortnight 2018 as both businesses are different in many ways but both deliver great products that people love. “Inverclyde has a growing reputation for high quality, tasty produce and with the theme of this year’s Food and Drink Fortnight being the future of Scotland’s food and drink industry, I’m delighted to say it’s safe in Inverclyde’s hands. “With the likes of Ardgowan Distillery also due to open its doors in the future, Inverclyde has the potential to become a food and drink hub for Scotland, especially considering the launch of Taste Inverclyde which is a platform built to promote independent restaurants, cafes, bars, street food, food and drink production and food tourism across Inverclyde. “During my speech to Parliament, I was able to take people on a journey across Inverclyde’s food and drink landscape, highlighting The New Chocolate Company, Start Up Drink’s Lab, Golden Casket, Ardgowan Distillery, Ardgowan Trout Fishery, Nutcrafter Creamery, our local farms, and McCaskie’s to name but a few. I am always looking to get out and visit local business and would welcome an invitation from any businesses I have yet to visit.